Livinghouse have designed this exclusive collection of rose gold heated towel rails with luxury and quality in mind. Our rose gold towel warmers are available in a range of modern and traditional styles to suit all tastes; including floor mounted, wall mounted and freestanding designs. This rose gold radiator collection is made exclusively in Britain to ensure high quality and durability in every product. 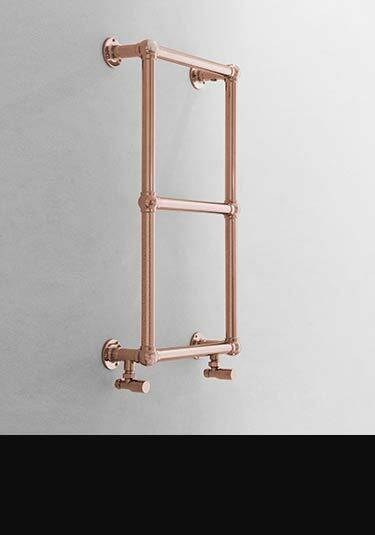 Please note all rose gold towel rails are made to special order, so please check the latest delivery times prior to ordering. 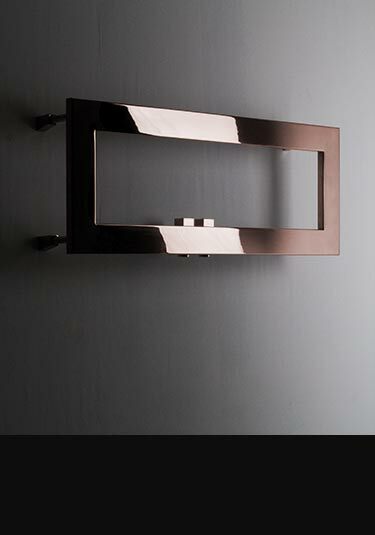 A modern wall mounted bathroom radiator has a stylish rose gold finish. 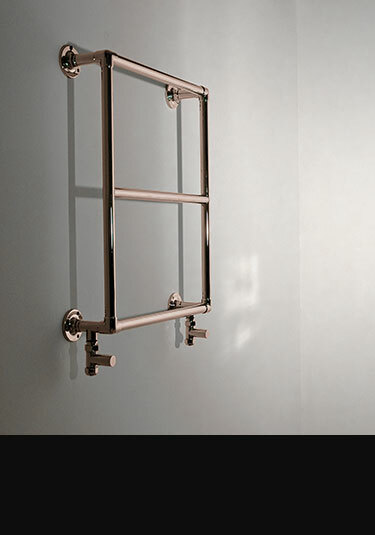 This luxury cubic towel rail can be supplied in brushed or polished rose gold. 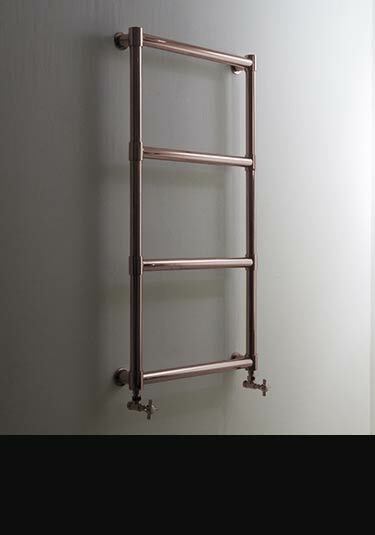 A wall mounted rose gold cubic ladder towel rail in brushed or polished rose gold finish. 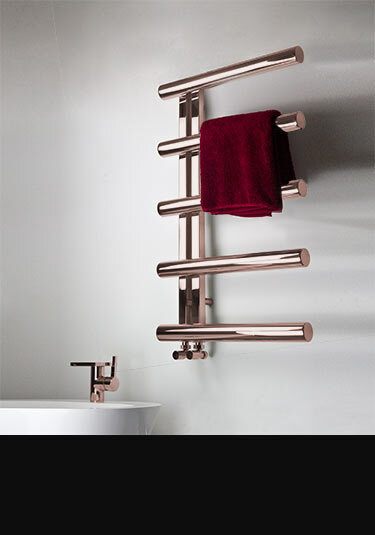 This luxury rose gold heated towel rail has large horizontal bars for a stylish and practical design. Available in brushed or polished rose gold. 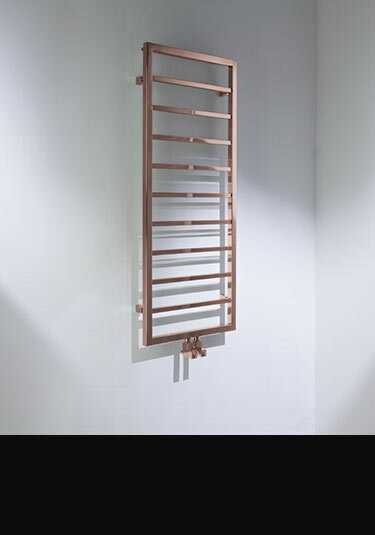 A luxury rose gold heated towel rail with large, thick bars for easy storage of towels. 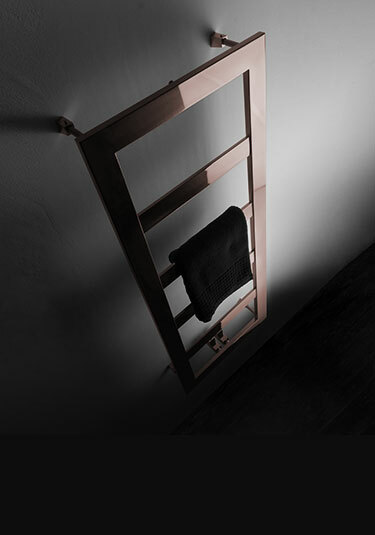 This rose gold towel rail is designed and made in Europe for the highest quality. 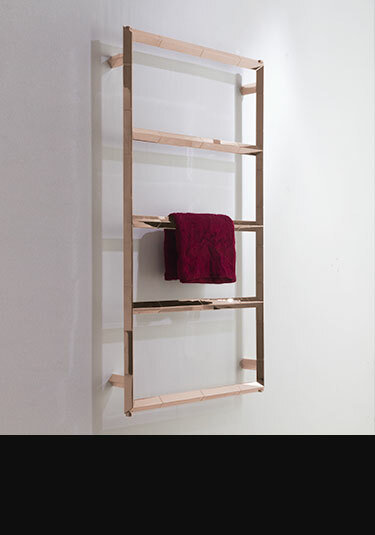 The modern rose gold towel rail has a contemporary wall mounted design with mitred corner joints. Available in polished or brushed rose gold. 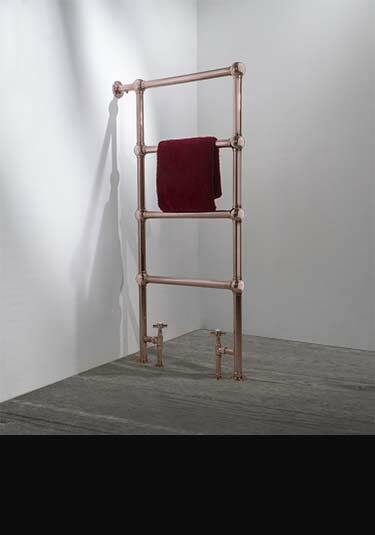 This floor standing rose gold towel rail has a traditional shape with an integral horizontal grille. Made of quality stainless steel with a protected rose gold finish. An exclusive rose gold radiator made in Britain. 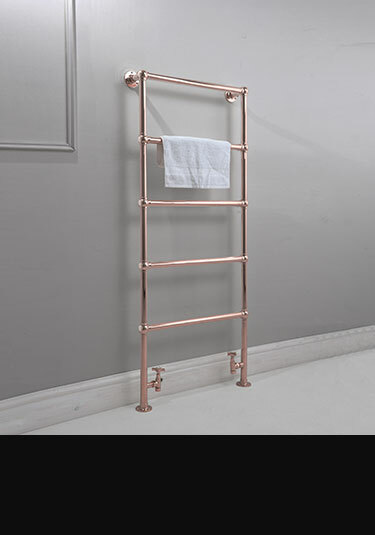 This modern rose gold towel rail is made in the UK, exclusive to Livinghouse. The thick bars are ideal for even spacing of towels. 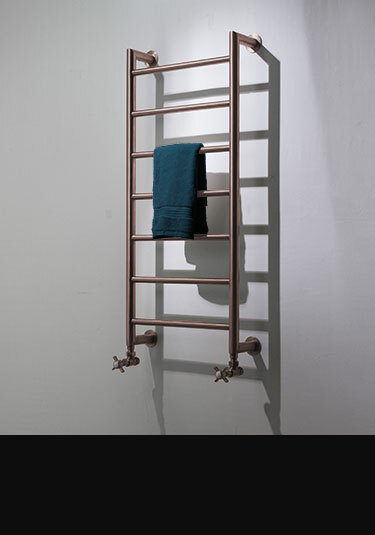 A traditional towel rail design in a contemporary rose gold finish. This high quality towel rail is made in Britain. 10 standard sizes with bespoke options available on request. 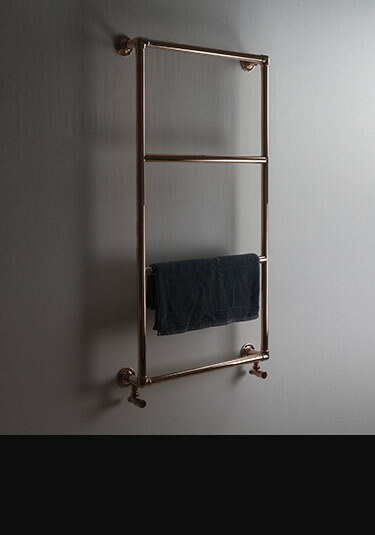 This rose gold towel rail has a traditional ball jointed design. A unique radiator model designed to stand perpendicular to the wall. 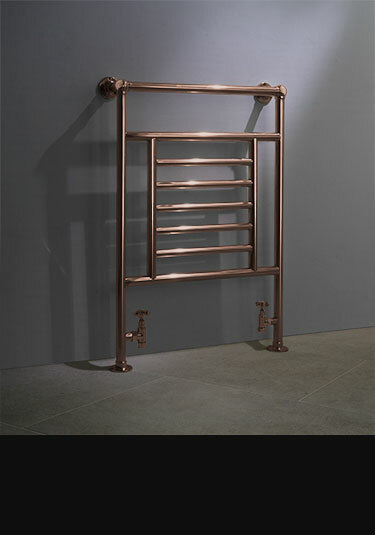 A classic ball jointed towel rail with polished rose gold finish. Designed and made in Britain, this towel rail is manufactured using the traditional methods for the highest quality. This rose gold heated towel rail is based on a traditional jointed radiator shape, with the modern twist of a rose gold finish. Made of high quality stainless steel, this small rose gold towel warmer is available in a range of sizes. A luxury ball jointed towel rail in rose gold finish. This wall mounted towel radiator is available for central heating, electric or dual fuel. 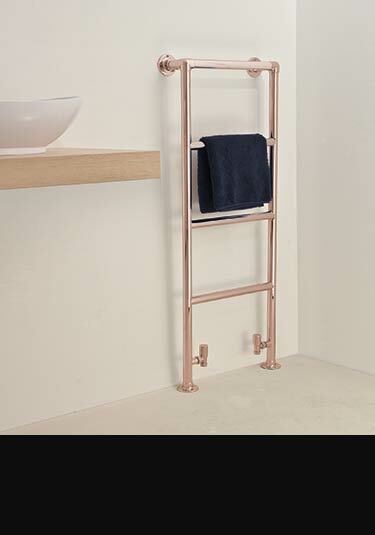 This floor standing rose gold towel rail is designed and made in Britain. Manufactured in high quality stainless steel with a protected rose gold finish.